In a Congress that passed a record low 55 bills in 2013, a bipartisan budget deal was finally brokered to fund the government for the remainder of Fiscal Year 2014 (FY 2014, ending September 30, 2014) and beyond into FY 2015. After advocates and constituents from across the country contacted their senators and representatives regarding the effects of the across-the-board cuts known as sequestration, Senate Budget Chairman Patty Murray (D-WA) and House Budget Chairman Paul Ryan (R-WI) negotiated a package that passed both chambers with comfortable margins. The budget deal provides enough money to restore a large part of the cuts to federal programs for FY 2014 and FY 2015. After the budget deal was concluded, the Appropriations Committees allocated the budget amount among their twelve subcommittees, each of which funds different agencies within the federal government. LDA follows most closely the Labor-Health and Human Services-Education Subcommittee which provides money for all of LDA’s priority programs. Each of the twelve subcommittees received a proportional share of the new pot of money, with about $6.7 billion going to the Labor-HHS-Education subcommittee. This action restored about two-thirds of the sequestration cuts. Given the press for time, Chairmen Hal Rogers (R-KY), House Appropriations Committee, and Barbara Mikulski (D-MD), Senate Appropriations Committee, worked mostly behind closed doors to reach agreement on an omnibus appropriations bill. The omnibus bill included each of the 12 subcommittee bills in one package, necessitating only one vote for passage. Among the biggest winners in education were the Individuals with Disabilities Education Act (IDEA) and Title I of the Elementary and Secondary Education Act, each of which had 82.6 percent of the sequestration cuts restored. Early childhood programs received very significant increases, both for Head Start and several new initiatives in the Departments of Education and Health and Human Services. The National Institutes of Health only had two-thirds of the cuts restored. In addition, the National Science Foundation, another source of major research money, was not fully restored. The research community has voiced concern about the declining research dollars. Next on the budget calendar is the release of the president’s proposed budget for Fiscal Year 2015. The budget, which usually comes out in early February, will most likely be delayed until the beginning of March to give the White House Office of Management and Budget time to analyze the FY 2014 omnibus appropriations bill and react accordingly. Once the president’s budget is released, the Appropriations Committees will begin work on their FY 2015 spending bills. 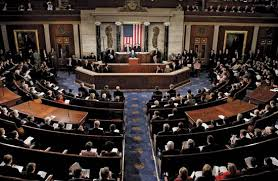 Since Congress will adjourn early in the fall for campaign activities, it is likely Congress may have to pass a Continuing Resolution, a bill to keep government agencies operating, if they are not able to complete all the appropriations bills by the FY 2014 on September 30. You can follow the continuing congressional budget and appropriations process and any actions needed by LDA members through LDA Today (the electronic newsletter for members) and LDA Legislative News (formerly News-in-Brief). Although it seems far off, the 114th Congress which will be seated in January 2015, promises to be very different for disability advocates. Two staunch disability advocates Ã¢â‚¬“ Senator Tom Harkin (D-IA), chairman of the Senate Health, Education, Labor and Pensions (HELP) Committee, and Representative George Miller (D-CA), ranking member on the House Education and the Workforce Committee Ã¢â‚¬“ have announced their retirements after serving in Congress since 1974. Senator Harkin often speaks quite eloquently about his brother who was deaf and the difficulties he encountered in being educated and finding employment. In 1990 through Harkin’s strong bipartisan efforts with Senator Orrin Hatch (R-UT), Congress passed the Americans with Disabilities Act (ADA). This law, often called the “Emancipation Proclamation for people with disabilities,” has been central to expanding opportunities and ensuring right for many Americans. Harkin rose to the chairmanship of the Senate HELP Committee following the death of Senator Ted Kennedy (D-MA), and also had the rare distinction of simultaneously chairing the Appropriations Subcommittee on Labor-Health and Human Services-Education. Simply put, Senator Harkin has been the single most influential person in the Senate in passing laws to help persons with disabilities, as well as controlling the purse strings to fund those programs. Representative Miller arrived in Washington the same year as Senator Harkin, where they first served together in the House of Representatives. Miller, known as one of the most liberal members of Congress, was and continues to be a strong civil rights advocate. He has served for many years as chairman of the Education and Workforce Committee or as ranking member, depending on which party was in the majority, and has championed laws such as the Individuals with Disabilities Education Act, the ADA, and most recently laws to restrict the use of restraint and seclusion. As these members prepare to retire, they will be joined by a growing number of moderate members, both Democratic and Republican, who have announced their intentions to leave at the end of this year. It remains to be seen how these changes will affect the 114th Congress and their ability to get work done. One thing is for certain: Some big shoes will be left to fill. 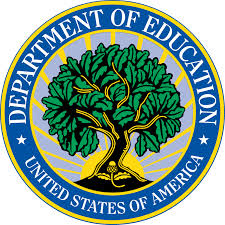 The U.S. Department of Education has issued guidance to school districts on improving school climate and discipline. This document and accompanying resources are the result of the Supportive School Discipline Initiative, a joint effort between the Departments of Education and Justice which began in 2011. This effort started as a response to reports of high rates of suspensions and expulsions and discriminatory discipline practices with a significantly higher impact on certain demographic groups, especially African-American students and students with disabilities. According to a 2011 study conducted by the Council of State Governments of one million students in Texas, nearly six in ten students were suspended or expelled at least once between the seventh and twelfth grades. African-American students were 31 percent more likely to be disciplined as compared to white and Hispanic students, and nearly three-quarters of students with disabilities were suspended or expelled at least once. This groundbreaking study propelled the federal government to invest in the Support School Discipline Initiative. The role of the Initiative has been to coordinate federal actions to provide schools with alternatives to suspension and expulsion, while also reducing the disproportionate impact on students of color and students with disabilities. The departments have adopted four strategies in this effort: building consensus, investing in research and data collection, issuing guidance, and building awareness, capacity, and leadership. In addition, both departments have worked to include strategies related to improving school climate and disciplinary policies and practices into current grant programs. Climate and Prevention: Schools that foster positive school climates can help to engage all students in learning by preventing problem behavior and intervening effectively to support struggling and at-risk students. Expectations and Consequences: Schools that adopt discipline policies or codes of conduct with clear, appropriate, and consistently applied expectations, and consequences will help students improve behavior, increase engagement, and boost achievement. Equity and Continuous Improvement: Schools that build staff capacity and continuously evaluate their discipline policies and practices are more likely to ensure fairness and equity and promote achievement for all students. The resource guide also includes action steps schools can take to implement these principles, a directory of federal resources to assist with implementation, and a listing of state laws and regulations related to school discipline. To view the full resources on line, go to http://www2.ed.gov/policy/gen/guid/school-discipline/index.html. Several webinars are scheduled, and interested individuals can also register to receive an e-digest with regular information from various federal agencies. Representative John Kline (R-MN), chairman of the House Education and Workforce Committee, and Early Childhood, Elementary and Secondary Education Subcommittee Chair Todd Rokita (R-IN) have requested that the General Accountability Office (GAO) examine issues related to special education paperwork. This request was the result of a letter from the American Speech-Language-Hearing Association (ASHA), whose members consistently identify paperwork burdens as the primary challenge in their practice as speech-language pathologists. The U.S. Government Accountability Office (GAO), led by the Comptroller General, is an independent, nonpartisan agency which provides oversight of particular government programs and policies at the request of members of Congress or through legislation or committee reports. Oversight is accomplished through auditing agency operations to see if funds are being spent effectively and efficiently, investigating allegations of improper or illegal activities, reporting on how well program and policy objectives are met, and issuing legal decisions and opinions. What specific provisions of IDEA provide the most paperwork burden for states, school districts, elementary and secondary schools, administrators, educators, service providers, and parents? How do the administrative and paperwork requirements that have evolved since the law’s original enactment in 1975 improve educational outcomes for children with disabilities? Why have the U.S. Department of Education, states, school districts, and/or schools not utilized the paperwork reduction provisions included in the 2004 reauthorization? How has the growth in and use of technology affected the administrative and paperwork burden? How pervasive are “electronic” IEPs and other innovative technologies? To what extent are these technologies interoperable? What can be expected in the future from technology? Outside of the privacy protections afforded to students and parents under the Family Educational Rights and Privacy Act and the Health Insurance Portability and Accountability Act, what, if any, administrative conflicts or redundancies exist, which may increase the paperwork burden for schools and providers? A copy of the letter requesting the report is available at http://edworkforce.house.gov/uploadedfiles/12-17-13-gao-idea_paperwork.pdf. Depending on the nature of the request, such reports may take a year or more to complete. LDA will send further information as it is released.